Things have been a little hectic lately, otherwise we would have posted this a month ago! 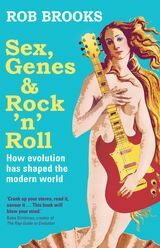 Nevertheless, The Lizard Lab feels duty bound to put in a plug for our good friend Rob Brook’s new book. Its a must read. For more information, see Rob’s web site. You can conveniently buy the book with a mere click of your mouse here – no need to leave the comfort of your living-room. This will soon be added to the Lizard Lab’s book club and expect it to become a citation classic.